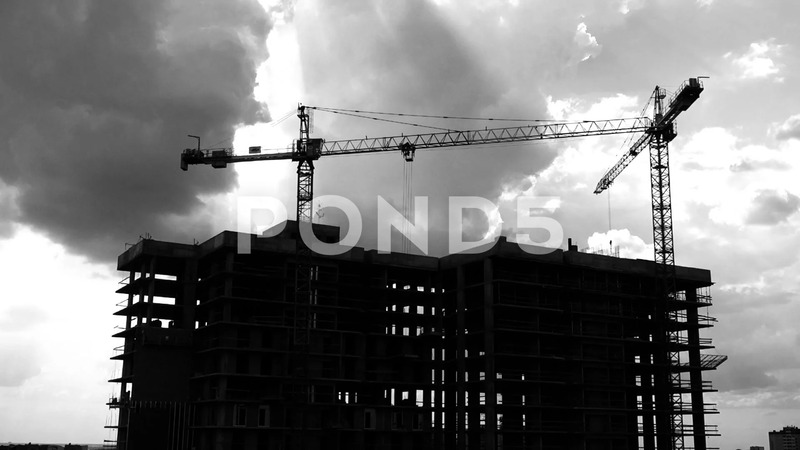 This stock black and white footage presents the time lapse of a construction site. It shows two huge cranes lifting construction materials. There are huge dark and white clouds hanging under the clear blue sky. Use the clip in vlogs, documentaries, TV shows, news clips, commercials and other information videos related to construction cranes, construction sites, real estate, etc. It is available in full HD resolution.